This meet up is for all women of all ages that want to reconnect with other women in a more heart centred way. A place to share your worries, your dreams and completely surrender to being your authentic self with love and support from being in a sisterhood. 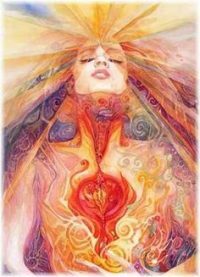 We will explore different goddess archetypes and how to incorporate their energy into your life. Each meet up will be different, once or twice a month. We will share lunch together (all vegan) and set intentions on what we want to achieve in the next lunar month, what we want to let go and discuss what we have learnt with compassionate advice, guidance or just a listening ear from a fellow sister. A place just to express yourself freely. We will cover meditations, heart centeredness, divine feminine, body appreciation, natural healing and natural beauty regimes. Most meetups will be help in my garden. Do you ask participants to bring anything, wear red or make a donation? : Donation of £10 to cover refreshments and craft materials. Flexbility in donation for women on a lower income.